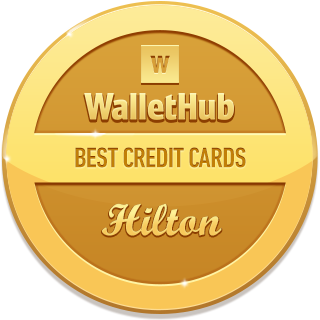 There are seven Hilton credit cards: five from American Express and two from Citibank (both WalletHub partners). They differ in terms of cost, features, overall value and availability. So WalletHub analyzed each offer to clarify the tradeoffs between them and help you identify the best Hilton credit card for your wallet. Below, you will find a complete breakdown of each Hilton credit card, along with information about how much Hilton Honors points are worth, other program features, and competing hotel rewards credit cards to consider. show less Hilton credit cards offer the potential to earn plenty of free hotel nights simply by making every purchases, so it’s understandable why they’re so popular. Hilton is one of the largest hotel chains both in the U.S. and worldwide, with properties to meet any budget. And who doesn’t need a vacation? But is a Hilton credit card right for you, and, if so, which one will yield the most free nights? Let’s find out. Quick Take: If you don’t plan to spend enough at Hilton hotels to warrant paying an annual fee for extra earning power, the standard Hilton Credit Card is your best (and only) option. And while its ongoing rewards rates are well below what the other Hilton cards available to new applicants are offering, its initial bonus is still a very good value. 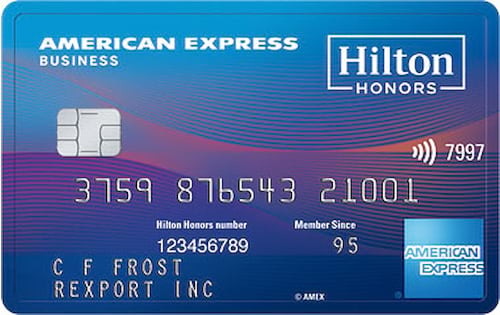 The Details: The Hilton Honors Card from American Express offers 75,000 bonus points to new cardholders who spend at least $1,000 within three months of account opening. You also get 7 points per $1 spent through Hilton; 5 points per $1 spent at U.S. restaurants, gas stations and supermarkets; and 3 points per $1 spent on everything else. There’s no annual fee and no foreign transaction fee will apply to international purchases. Cardholders automatically receive Silver status in the Hilton Honors program. You need good credit or better to be approved. Quick Take: You can earn up to 125,000 bonus points after spending $2,000 within three months of account opening. That’s worth roughly $700 in Hilton reservations. The Details: Although Hilton Honors Ascend does charge a $95 annual fee, its 125,000-point initial bonus gives you enough value to cover that cost for 6 years. Ascend’s solid ongoing rewards will help, too. You’ll earn 12 points per $1 spent through Hilton, 6 points per $1 spent at U.S. restaurants, gas stations and supermarkets, and 3 points per $1 on everything else. Cardholders also benefit from complimentary access to more than 1,000 airport lounges as well as automatic Hilton Gold status. Traveling abroad should not be a problem, because this card does not charge a foreign transaction fee. Ascend also requires at least good credit for approval. Quick Take: Hilton’s business credit card offers a big initial bonus, 3 - 12 points / $1 spent on purchases, opportunities to earn free nights by hitting annual spending thresholds, 10 free airport lounge visits per year and more, in return for a $95 annual fee. It’s a good choice for business owners with good credit or better. The Details: New applicants receive 125,000 points for spending $3,000 within three months of opening an account. That initial bonus is worth about $688 in Hilton reservations on average, according to WalletHub’s research. There are annual bonuses, too. Cardholders who spend $15,000 in a calendar year get a Weekend Reward Night, and those who spend $45,000 more in the same calendar year get another free night. Every dollar spent also yields at least 3 rewards points. Select business and travel purchases produce 6 points per $1, and the Hilton business credit card gives 12 points per $1 on Hilton purchases. Other perks include complimentary Hilton Honors Gold status and 10 free airport lounge visits per year once enrolled in a complimentary Priority Pass Select membership. The card has a $95 annual fee and no foreign transaction fee. Its high APR makes it best for business owners who plan to pay the bill in full every month. And business owners with good or excellent credit will have the highest approval odds. Quick Take: It’s hard to get past the whopping $450 annual fee, but you’ll find plenty of perks once you do. The Aspire Card automatically gives you Diamond status in the Hilton Honors rewards program, scoring you 100% more points and complimentary room upgrades in the process. There’s also a 150-point initial bonus and hundreds of dollars in additional savings to be had each year. The Details: You’ll get 150,000 bonus points for spending $4,000 within three months of opening your account. That’s worth about $840 at Hilton, according to WalletHub’s calculations. You also get up to $250 in credits each year for airline fees, up to $250 in credits per year for purchases made at Hilton resorts, complimentary access to 1,000+ airline lounges, and one free weekend night each year. Plus, if you book a reservation for at least two nights through Hilton’s Aspire Card webpage, you’ll get $100 in credits for purchases during your stay. That’s not even to mention how the Hilton Aspire Credit Card rewards you for every purchase you make. You get 14 points per $1 spent at Hilton properties, for starters. You’ll also earn 7 points for each $1 you spend on airfare booked directly through airlines or amextravel.com, car rentals booked with select companies, and dining at U.S. restaurants. All other purchases yield 3 points per $1 spent. Whether all of that is worth the high cost really depends on how often you stay at Hilton hotels and how much you plan to charge to your card overall. Quick Take: Citibank is no longer accepting new applications for this card, as of June 2017. The Details: You’ll earn 10 points per $1 spent through Hilton, 5 points per $1 on car rental and airfare purchases, and 3 points per $1 on everything else. While cardholders also get complimentary Hilton Honors Gold status and do not have to worry about foreign transaction fees, this card does charge a $95 annual fee that could alter its value proposition depending on your spending habits. However, this can be partially offset by those who qualify for a free weekend night by spending at least $10,000 on purchases each year. The Details: You’ll receive 6 points per $1 spent with Hilton, 3 points per $1 spent at supermarkets, gas stations and drug stores, and 2 points per $1 on everything else. Cardholders also automatically earn Hilton Honors Silver status and receive a 10,000-point bonus each year they spend at least $1,000 at Hilton properties. It does not have an annual fee but does charge a 3% foreign transaction fee. What’s more, it’s important to note that Visa Signature cards have a feature known as No Preset Spending Limit (NPSL). That means your spending limit is determined on a monthly basis and you’ll never really know how much available credit is left at your disposal. It also complicates credit reporting and may lead to underserved credit score damage. Quick Take: American Express is no longer accepting new applications for this card, as of November 2017. The Details: Once the best Hilton Honors credit card for the vast majority of use cases, the Surpass Amex offered a hefty initial bonus and solid earning rates across all purchases. In particular, people earned 12 points per $1 spent through Hilton, 6 points per $1 spent at U.S. restaurants, gas stations and supermarkets, and 3 points per $1 on everything else. They also have automatic Hilton Gold status and access to 1,000+ airport lounges. But there’s a $75 annual fee, so Surpass survivors might want to consider upgrading to the Hilton Honors Ascend Credit Card. For your convenience, we’ve also summarized how the Hilton credit cards available to new applicants compare in the areas that matter most. Hilton Amex cards require at least good credit for approval. If you don’t know how good your credit is, you can check your latest credit score for free on WalletHub. You also have to recognize the possibility that the best credit card for saving money on hotel stays might not bear the Hilton brand name. 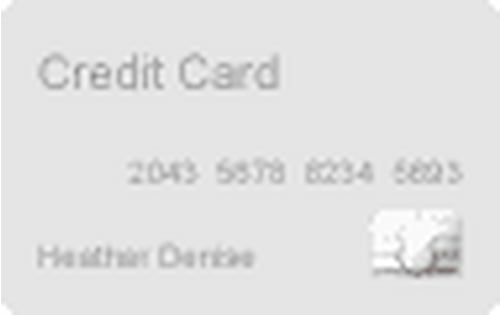 That means you should check out what other hotel rewards credit cards have to offer if you want to be really thorough. As you can see, interest rates and balance transfer fees aren’t on the list. That’s because rewards cards should only be used for expenses that you can pay off in full by your monthly due date. Rewards cards tend to charge high interest rates, which means carrying a balance would significantly diminish the value of your earnings. How Much are Hilton Honors Points Worth? One Hilton Honors point is worth a bit more than half of one cent, on average, when redeemed for free nights. Hilton points are worth even less when redeemed for merchandise and gift cards. This is significantly below the 1 cent per point/mile valuation offered by most general-use rewards cards. It also means you’ll need roughly 50,000 Hilton Honors points to book a rewards night at the average Hilton hotel, according to WalletHub research. 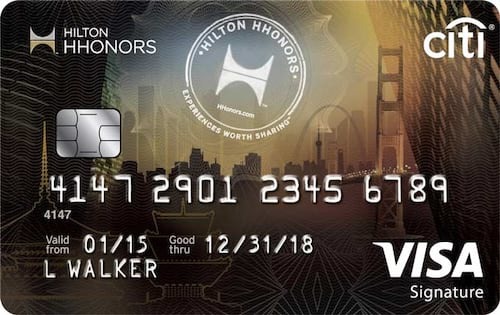 However, Hilton’s credit cards provide up to 12 points per $1 spent at Hilton properties, which tilts the value proposition in a cardholder’s favor if they regularly patron the chain. Unlike Hilton’s credit cards, the overall Hilton Honors loyalty program is beneficial only to those who regularly stay at Hilton properties. 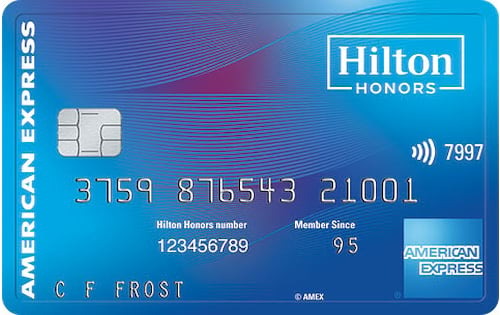 In other words, while the right Hilton Honors credit card could provide significant initial value, allowing you to stay at a Hilton property without ever stepping foot in one before, there are no sign-up bonuses for joining the program absent of a credit card and most of its perks are provided proportionally to your stay frequency. 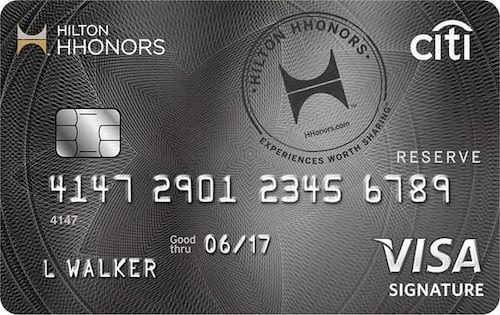 With that being said, opening a Hilton Honors credit card is an excellent way for a newly brand-loyal guest to expedite worthwhile perks. That’s because it’s far more cost effective to garner Hilton status by opening one of the company’s co-branded cards – even if it has an annual fee – than by qualifying based on how often you stay at Hilton properties each year. For more editor’s reviews, check out coolest and worst cards. Ask a question or help others find the best credit card by sharing some tips. Our editors' recommendations for the 2019’s Best Hilton Credit Card are a reflection of their own subjective opinions, and they should not be relied upon as the sole basis for choosing your financial product. Certain offers that appear on this site originate from paying advertisers, and this will be noted on an offer’s details page using the designation "Sponsored", where applicable. Advertising status does not affect which offers show up on this page but may impact the order in which they appear. At WalletHub we try to present a wide array of offers, but our offers do not represent all financial services companies or products.